As a child, I went to sleep on Christmas Eve with a sense of anticipation and excitement. What was I going to find under that tree in the morning? As a gardener, the first mild days of mud season bring that same excitement and anticipation, except now it goes on for weeks: What am I going to find blooming today? Cyclamen coum is still blooming. 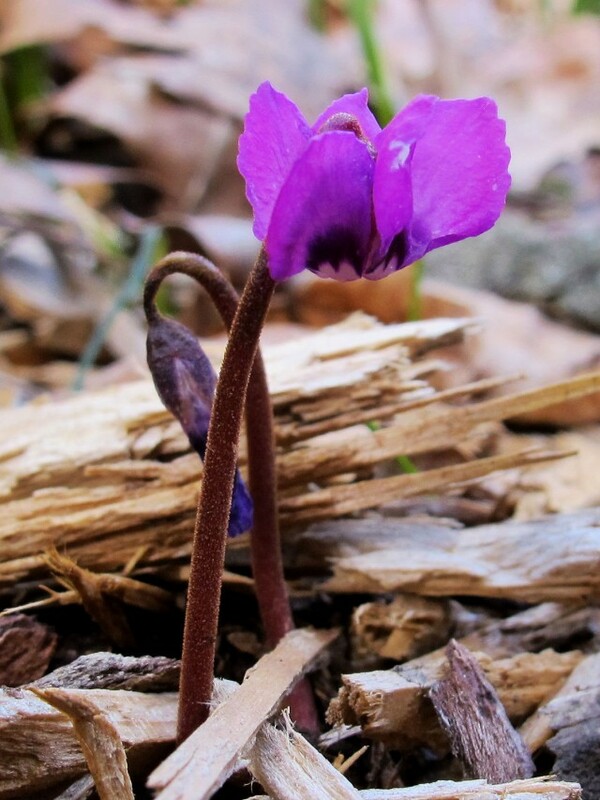 Cyclamen coum takes the prize for earliest bloom. This tiny plant with its tiny but very bright flowers has managed to have one flower blooming in succession since mid-February. I think I will get some more of these diminutive charmers. 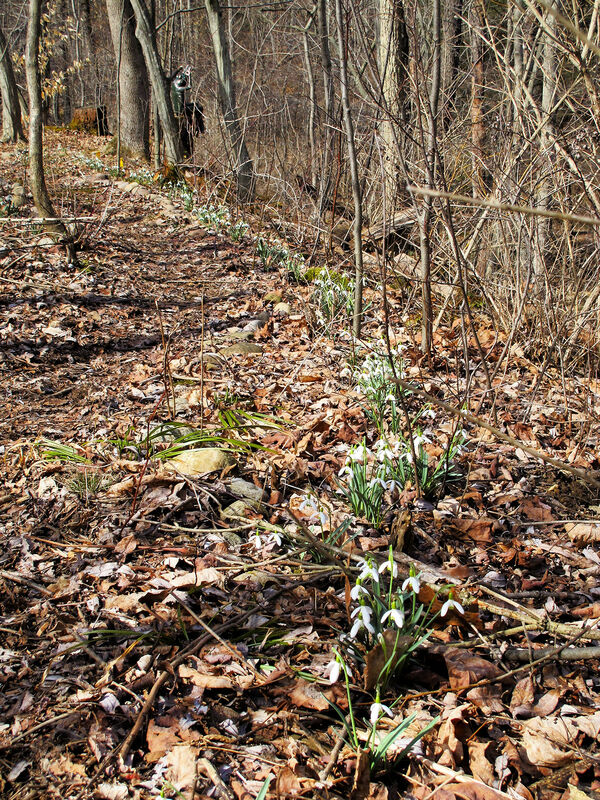 These snowdrops were planted in Spring 2012. I have some green-tipped snowdrops, closely related to the common snowdrops in the Secret Garden, blooming this year as well. Galanthus nivalis ‘Viridi-apice’ is new to me this year. 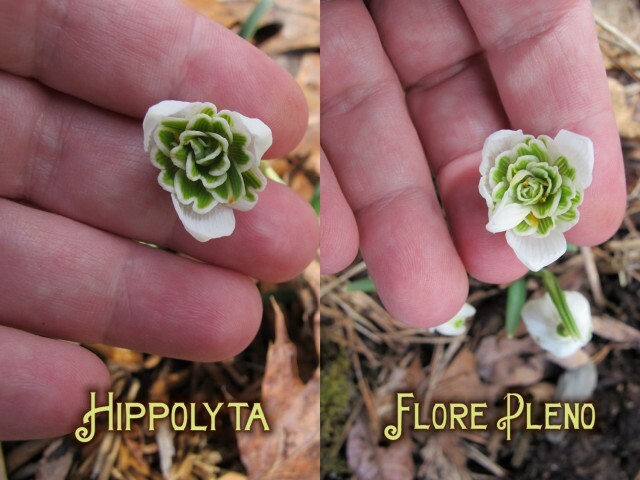 ‘Hippolyta’ and ‘Flore Pleno’–can you tell the difference? ‘Hippolyta’ is new to me this year. I have had ‘Flore Pleno’ for many years, and I understand it is one of the parents of ‘Hippolyta.’ Two other new ones this year are ‘Magnet’ and Galanthus woronowii, but they didn’t photograph well. That makes seven different kinds. A small selection compared to how many kinds are out there. The flowers above are not snowdrops, but snowflakes. Spring snowflakes, to be precise. 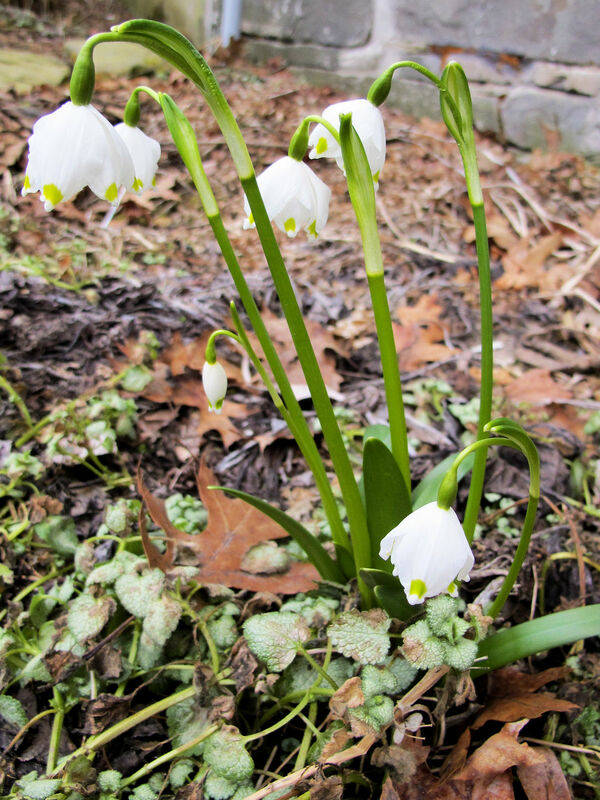 You may be familiar with summer snowflakes (Leucojum aestivum), which are more readily available. 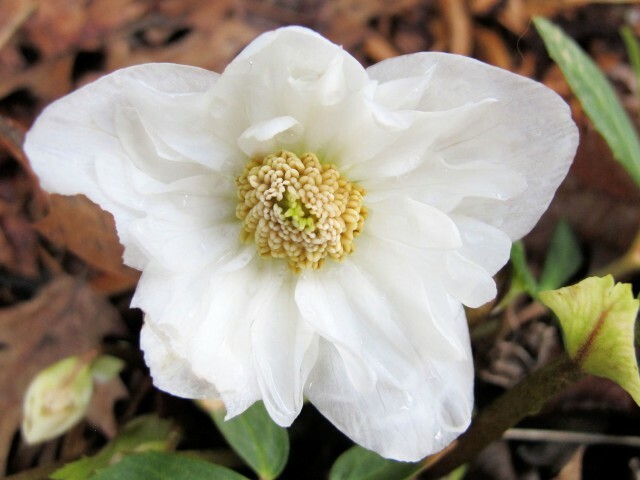 The spring snowflakes have larger flowers, about the size of an American nickel, but aren’t quite as numerous. 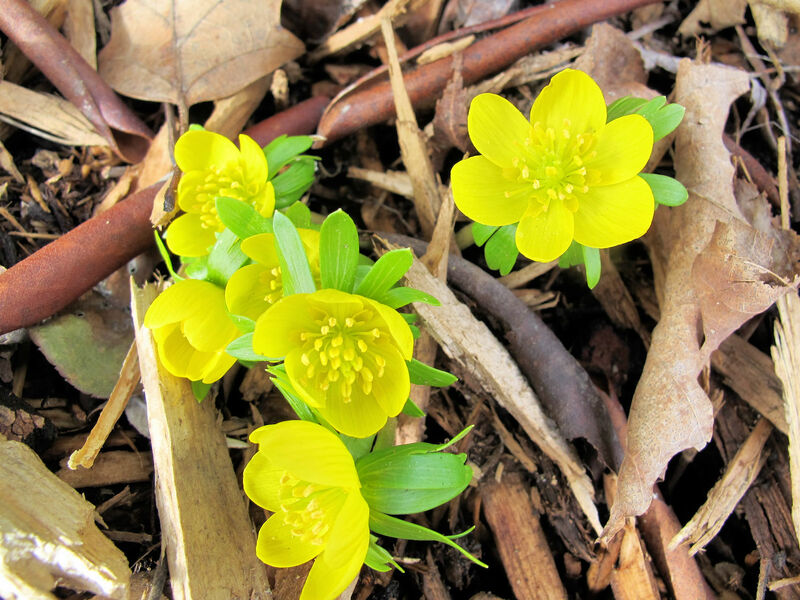 Winter aconites are one of the first flowering bulbs I grew (in high school) and I just love their cheerful yellow flowers. 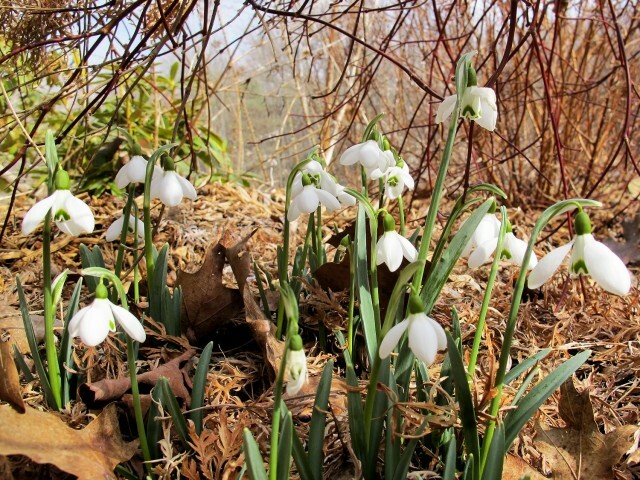 They start blooming about the same time as the earliest snowdrops. If these flowers remind you of colchicums, you’re not the only one. 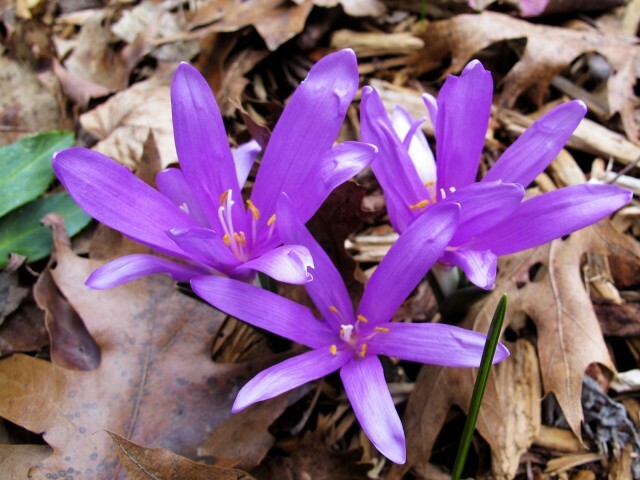 They have hopped in and out of the Colchicum genus over the decades. Right now they’re in a genus all their own. Once I build up some stock, I will find a ground cover that flatters them and plant them in it. 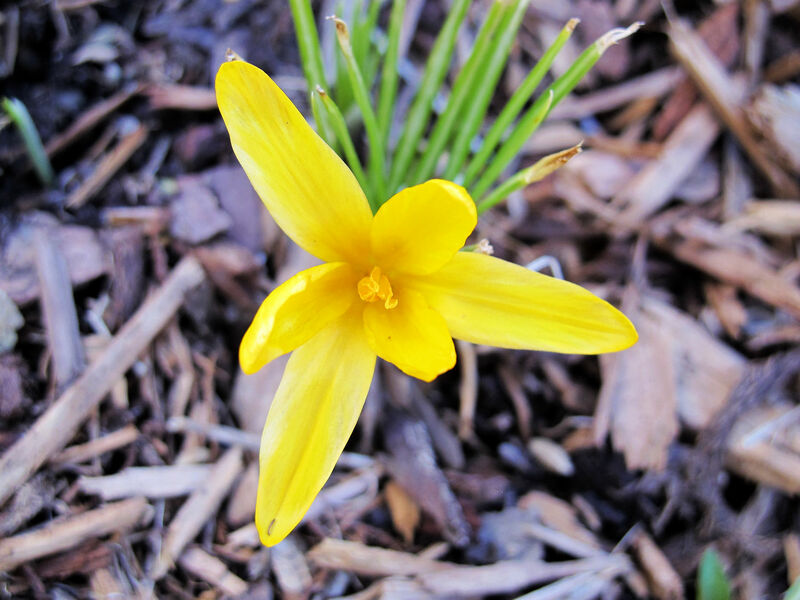 I planted three varieties of this relatively rare crocus because it was so early blooming. I didn’t see as many as last year and I wonder if the voles finally found them. Some buds got ruined by emerging in early February and getting socked by our one -24°F (-31°C) night, turning to mush before they ever opened. But that doesn’t account for all of them. I planted a mix of species and Dutch crocuses in the lawn and a few of the smaller kinds are blooming now, but ‘Firefly’ was first. 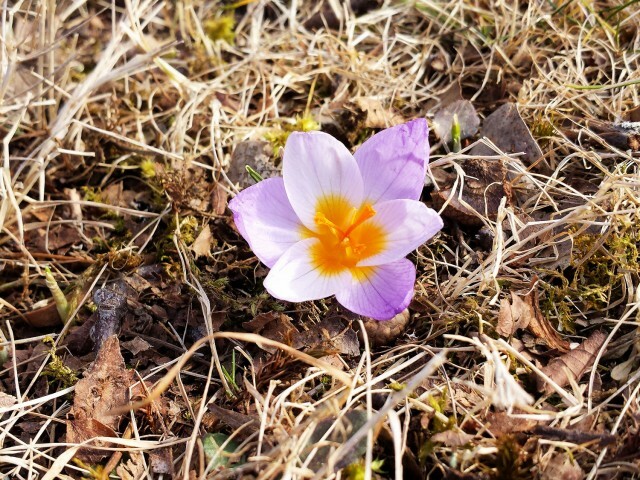 However, I think a yellow kind got nipped in the bud, just like the Crocus korolkowii did. I hope to plant another 400 corms this fall, bringing it up to 75 square feet planted. 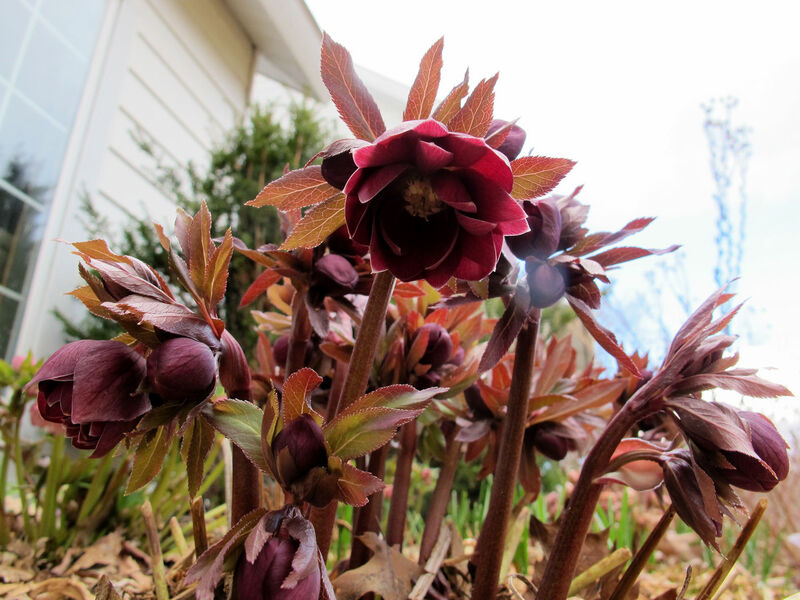 It’s a good thing I trimmed that old hellebore foliage in February, because the hellebores have started blooming. 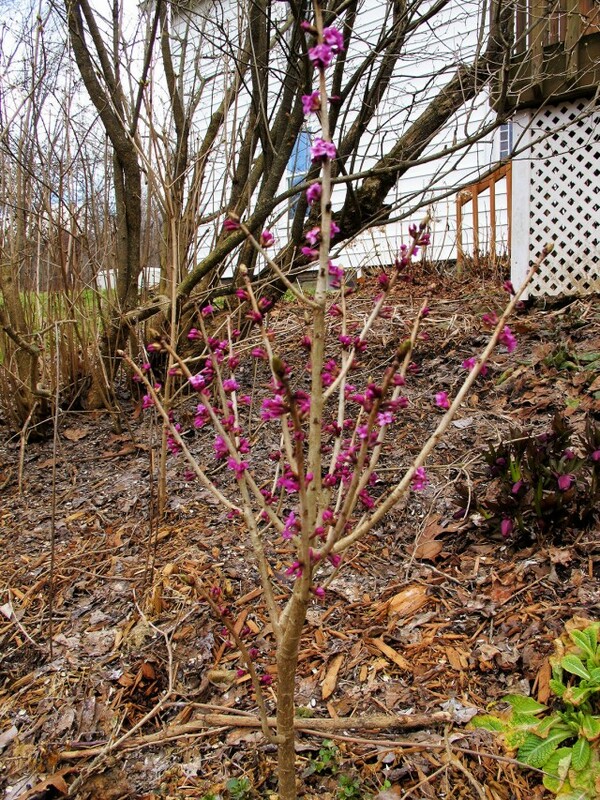 I’d like to put in a good word for one of the earliest blooming shrubs. Many witch hazels bloom in very early spring, but this daphne is much hardier. Looking forward to the day when my shrub is big enough to cut some branches to force. 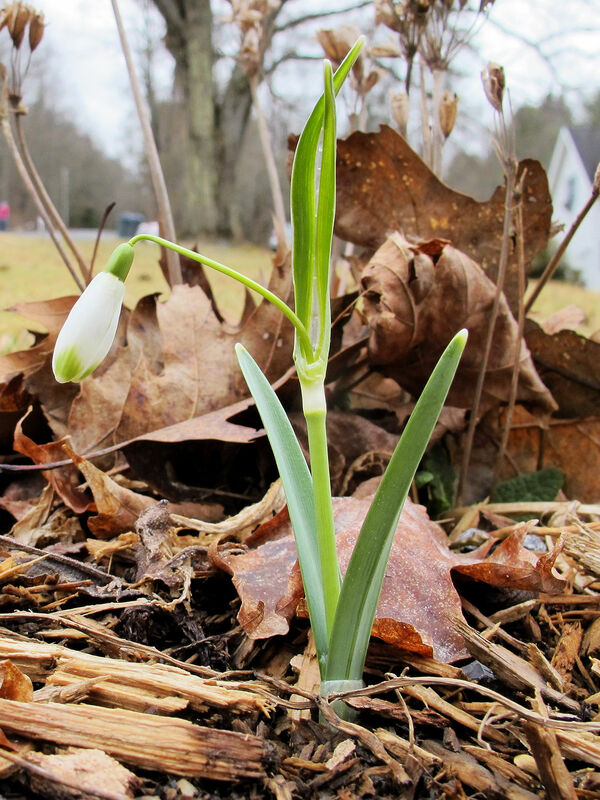 Compared to last year’s lingering winter, spring has come early this year, but for cold climate gardeners, it never comes early enough. 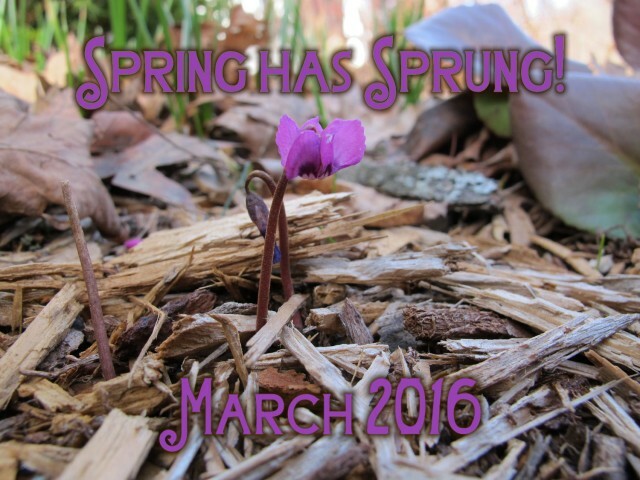 How many kinds of really early blooming plants do you have in your garden? Why not make a note to add more? wow, how enjoyable to look at what is coming up all around you. 🙂 Nothing has come up in my garden yet, nor have any of my flowers bloomed, but I have hope! Your garden is certainly ahead of mine, but I was surprised to see a few blooms mid-March…definitely early but oh boy the see saw weather here is keeping my garden from moving too fast. 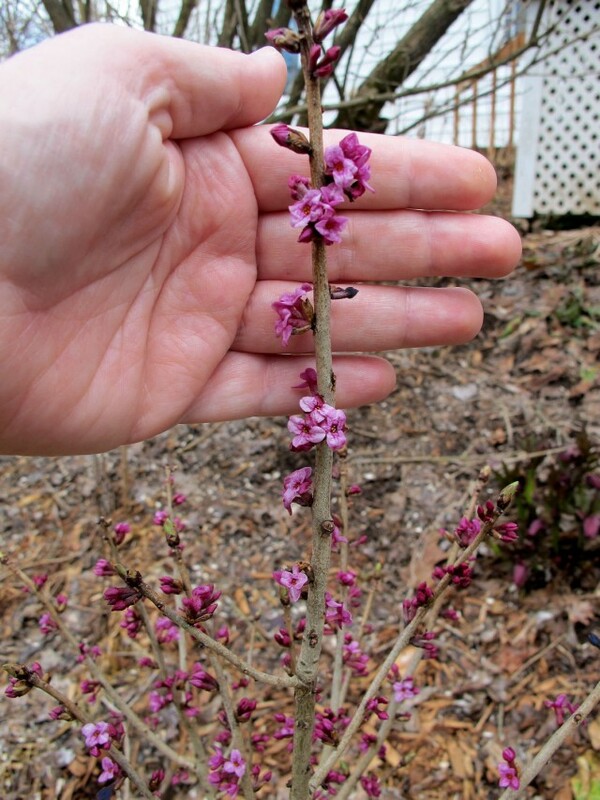 Your Daphne mezereum has really grown! You should be getting seedlings this year, if you haven’t already. My biggest daphne clumps are actually 4 or 5 seedlings that I planted near each other. Inspirational photos, Kathy. They have lifted my spirits more than you can imagine. Coming from you, that is saying quite a lot. Thank you, Pat. 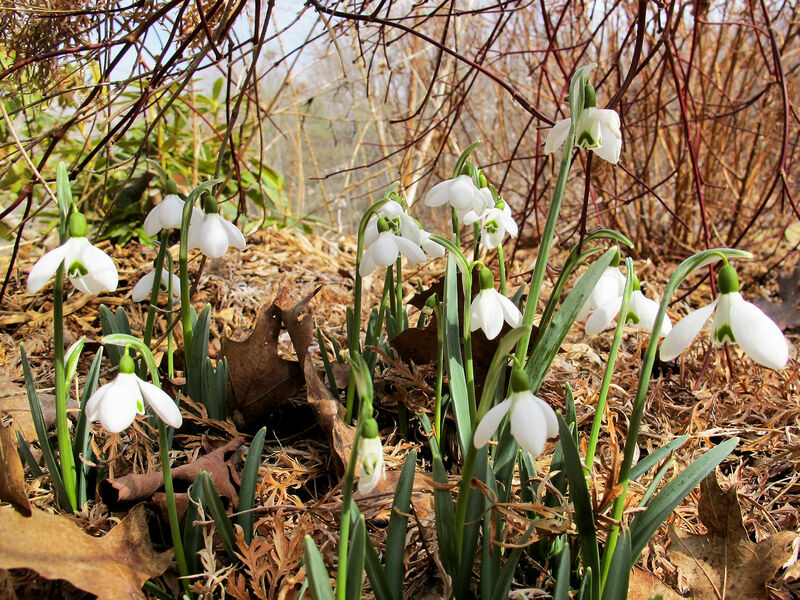 When I was younger, the crocus and snowdrops bored me – I wanted something bigger. Now, all I have is a handful of purple crocus. I am seriously thinking about planting some more this fall. Here in Minnesota I only have the Winter aconite beginning to bloom. It snowed last night although most melted during the day. Northern Minnesota has way more snow then we do in the southern area. Hang on, Joanne, spring is coming! I know the feeling. I live in Fargo, North Dakota and there is absolutely nothing blooming up here at the moment. And it snowed today, too. Hang on, Alex! Spring will come, even to Fargo. Is there a botanical garden with a greenhouse you can visit in the meantime? Thanks, Leslie. I have seen it both ways and couldn’t remember which name was considered correct. I love the perspective you got with the hellebore photos, but I hope you didn’t get too wet or muddy taking them. 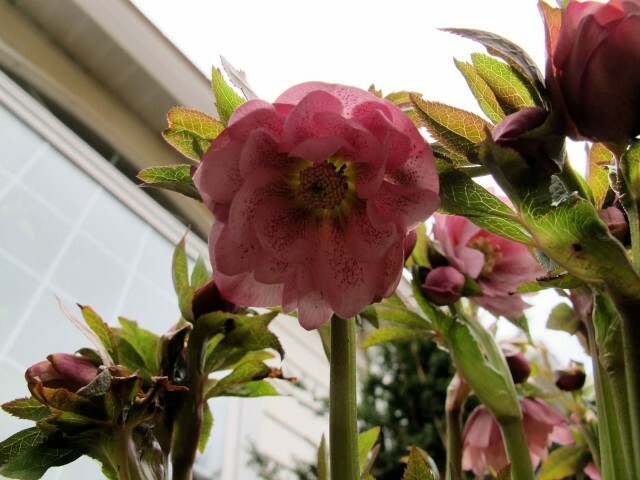 The little LCD screen on my camera “articulates” (rotates) and I took advantage of that feature to get the hellebore shots. But, hey–it’s mud season here, and if I don’t get muddy taking pictures I will get muddy doing something else. Judy, I am a laissez-faire gardener. When I created the bed the hellebores are in, I replaced the sod I removed with composted horse manure as I described here. In the fall, I mulch with chopped leaves. But other than that, I do nothing. 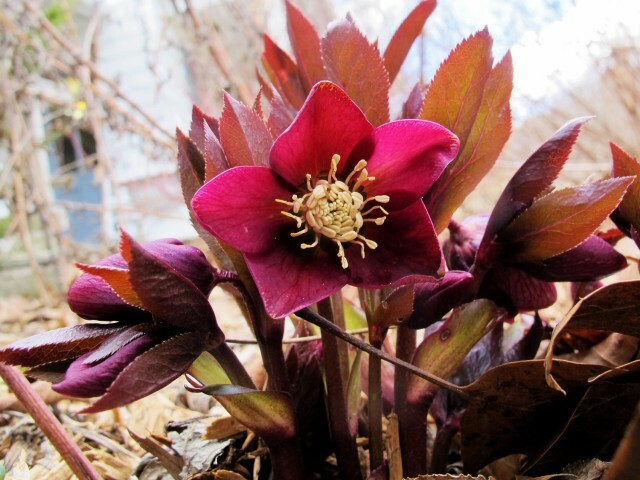 Hellebores take about three years to look their best. I planted these in April 2013 and I really think that’s why they look vigorous. I love how the snowdrops have filled in! Spring seems to be really coming!